Perplexed Washington establishment politicians fail to grasp the West's need to develop an effective foreign policy in the Middle East to address the current refugee crisis. The U.S., largely through neglect, allows Islamists to inflict unspeakable genocide against innocent men, women, and children. The largely hands-off approach has resulted in hundreds of thousands of families fleeing Syria, as well hundreds of thousands more internally displaced persons in Iraq, Libya, Lebanon, and Yemen, to seek freedom in Europe and elsewhere. Under a misguided veneer of humanitarianism, some legislators are now rallying to accept more of those seeking refuge without first addressing the delusional policy that created the problem in the first place. Continuing down such a path will only exacerbate the situation, as we will find when Iran becomes an accepted player in world affairs. Americans are compassionate, yet they understand that the catastrophe in large part resulted from the 2011 U.S.-led NATO mission in Libya that backfired. Choosing to arm and train the Islamist opposition against dictator Moammar Gadhafi unleashed its most ruthless terrorist elements. Once the U.S. and NATO walked away from Libya, a chaotic lawless state in the soft underbelly of Europe arose. It exports weapons, training, and ideology throughout North Africa and the broader Middle East, including to the uprising in Syria that planted the seed of ISIS. The administration in 2012 ignored its self-imposed red line as Bashar al-Assad deployed chemical weapons against his people. The contingency plan to spend $500 million dollars to train and equip so-called "rebels" resulted in only 60 recruits, and nobody even knows where they are. The overall feckless strategy against ISIS in Syria and Iraq enabled the Islamist organization to expand its domain and drive out more religious minorities. Americans are frustrated with those in Washington who now advocate for throwing our doors wide open as the solution. U.S. citizens are charitable and want to help their struggling fellow human beings, but they want a more constructive approach. They want politicians to admit their mistakes, learn from them and confront the evil at its source. Failing to chart a new course will only lead to a more dangerous world. America's bipartisan strategy for years has been to deny jihadists with sanctuaries anywhere in the world from where they can plan, prepare and train for attacks against the West. Such policy largely confined them to remote caves in Afghanistan and Pakistan, as well as in sporadic cells. Permitting them to control more and more actual territory enables them to drive out more terrorized victims and move closer to our shores. ISIS will certainly take advantage of the West's disjointed immigration laws to sneak some among their ranks to the U.S. homeland. Say that only 2 percent of the 10,000 proposed refugees are radicals and only 3 percent support their cause — note that a recent Pew Survey found that 30 percent of Muslims are sympathetic to violent jihad — that 5 percent would be 500 jihadists let loose inside our borders. Furthermore, how will legitimizing the nihilistic Iranian regime help matters? The mullahs not only offer a well-documented record of global terrorism and antagonism toward the West that stretches past decades, but they assist in the Assad regime's campaign of terror against its people. Does immediately gifting the Iranian mullahs more than $100 billion with absolutely nothing in return really foster peace and stability in the Middle East? Hundreds of thousands of Syrians, Iraqis and Libyans agree with the majority of the American people who oppose the agreement and are expressing their frustration with their feet. Finally what should really anger Americans are those 42 senators who filibustered the Iran deal to cowardly avoid putting their names on record as supporting it. They will most likely be the first to demand that we open our doors to the asylum seekers who have been, and will be, generated by their new friend and ally. The more intelligent crowd outside the Beltway wonders how any of it makes any sense. America needs an understandable and pragmatic foreign policy that offers real solutions to a real crisis that doesn't include an endless stream of refugees into the West. Otherwise, heaven help us because Washington certainly can't. 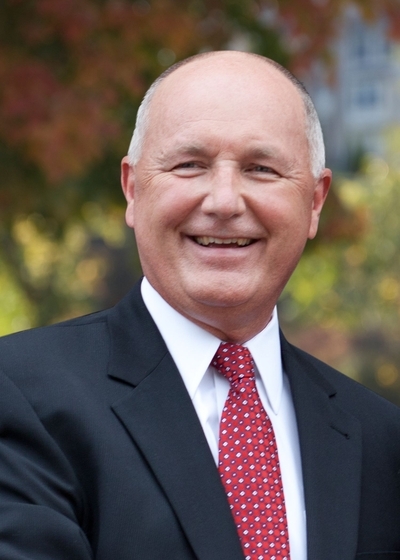 Pete Hoekstra represented Michigan for 18 years in Congress, including as chairman of the U.S. House Intelligence Committee. He currently serves as the Shillman senior fellow at the Investigative Project on Terrorism, and is the author of "Architects of Disaster: The Destruction of Libya." For more of his reports, Go Here Now.